There is hardly a moment goes by without someone in business searching for terms like “the best marketing tool” or “the top social network for marketing” or some such phrase. Indeed, at workshops I run I am always asked things like “what is the number one way of getting more traffic to my website” or “what is the best way of selling our products online”. All of these search phrases and questions signal one thing – people are looking for a “quick fix”, an easy solution, the least difficult path. Now, to some extent that is natural. Our brains have a deep-seated desire to do things with the least amount of effort. It’s all about the human body’s need to conserve energy and not spend too much needless effort. It is part of our survival mechanism. But sometimes we take it too far and look for the easy way out when that might not be the best idea. This is highlighted in a study from the University of Washington published this week on the topic of Digital Activism. In the most comprehensive research of its kind the researchers found that social media were widely used by activists trying to get governments to change policies. They found, for instance, that activists were months ahead in their use of social media compared with the governments who lagged behind considerably. The study also discovered that one single social network was insufficient for success. It turned out that a combination of different social media was usually the best at getting campaigns noticed. However, there is a caveat to that finding. For some campaigns a particular combination of different social media worked well. But for other campaigns a similar combination failed to help. In other words you cannot say that if you use a certain combination of social media it will automatically lead to success. It turns out there is no way of predicting which social networks will actually help or which combination. In other words the only option is to consider the specifics of each campaign and then test and monitor and adapt if necessary. In business it is almost certainly going to be the same. There is no single way of saying that a certain combination of marketing activities is going to work. What you have to do is consider the specific circumstances and the particular marketplace and its demographics and then choose a combination of online activities that are most likely to work in that situation. Then you have to put measurements in place, test your results and adapt and change if your test results do not prove successful. This means that there is no “quick fix” to making more money online. Instead it requires thoughtful planning, testing and monitoring your results. Sorry I couldn’t make it easy for you. Graham, I completely agree that you have to be very thoughtful in planning, testing and monitoring your results because deciding what you test & monitor is often dictated by what you can measure, instead of what you should measure. If the wrong choice is made (or the wrong focus) then seemingly short-term success may actually be masking or creating a long term problem. What we measure is dominated by micro transactional data because we CAN measure open rates, click throughs & page visits through email tracking and analytics. 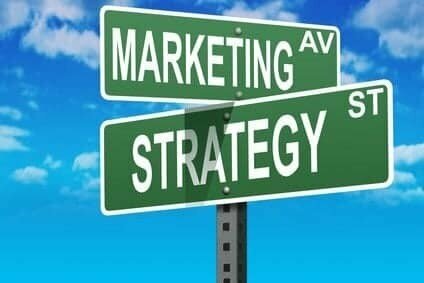 These give us pretty accurate results on very specific goals, but attention in marketing can become focused on each short-term campaign, so it’s important long term goals are referenced frequently to make sure each campaign (and their apparent healthy key performance indicators) is helping to build on the strategic goals of the business. Focusing say on customer engagement in a particular social media campaign may show an apparent success in terms of measuring interaction – likes, shares etc, but it may be that this particular campaign doesn’t resonate well with your real (buying) Customers, and may have changed their perception of your brand into something that in the long term will have negative connotations. So a campaign like this may be repeated due to focusing on the wrong measure. I’m really highlighting your words ‘thoughtful’ and the need to take a more holistic approach and think of measuring things from a total Customer experience viewpoint while keeping an eye on the movement of the bottom-line. I got interested with this content. Hi Graham, I think internet marketing is not one time task it really requires continuous effort for a long time to perform some research and do some content and data analysis but even though after all effort we need to find best way to do it, so i think better to start with finding best way for internet marketing and only thing we need to consider that we should not go by any unethical way to achieve our marketing goal especially when dealing with social media as it is open platform so we should take care about that our marketing strategy won’t affect others social networking life. Internet marketing is more important than ever before. Not Doubt, It is actually really rough to market your product or services on web. One should have lots of patience, adaptability and learning attitude. Once you have all three qualities then you must have a proper work plan hierarchy to implement all the tasks on time with accuracy.